As one leaves the European Union and crosses into the near east and Turkey, countries involved here and all the way east to China become free of the national constraints sometimes caused by membership of the European Union and to national governments where deals done with China are on a decidedly bilateral basis. It remains a point of interest whether having the EU oversee Chinese infrastructure offers is perceived as a help or a hindrance when one compares the grand strategy of the Belt and Road Initiative in these countries to the EU’s rather more cautious approach. Much of this is a political issue – are grand projects such as China’s Belt & Road Initiative better suited to autocratic nations rather than democracies? Such projects take decades to reach their end game. While Europe’s politicians can and are voted in and out of influence, meaning their positions on strategic development tends to veer towards the abstract, do autocracies tend to demonstrate more pragmatism? Turkey’s leader Recep Tayyip Erdogan, like Chinese President Xi Jinping, is in power for the long haul, and is able to take longer term strategic decisions as a result. He is also free of a counterbalance (in the EU’s case, Brussels) which may or may not be a bad thing. 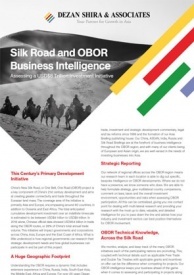 In Turkey, as in other countries, Chinese diplomats have cleverly studied other national development projects, and used those to suture together their own Silk Road plans. (I wrote about how smart the Chinese had been in intelligence gathering here). In the case of Turkey, this has meant drafting Belt and Road Initiative structures to fit in with Turkey’s “Middle Corridor”, a multi-transportation route that connects this huge country from the Mediterranean in the West, the Black Sea to the North, and through to the Caspian in the East. In fact, it could be argued that China’s “genius” when it comes to the Belt and Road is actually more to do with their dotting the lines between other nations development projects and ensuring they all get connected, rather than any specific infrastructure build. China’s desire to link the two projects has been made quite apparent with an editorial appearing just this past weekend on the subject in Xinhua. The Middle Corridor has been devised to provide an alternative to the northern routes of the New Silk Road, which lead cargo through Russia, Kazakhstan and Belarus, to enter Europe at the border with Poland. The Middle Corridor runs from China to Kazakhstan, Azerbaijan, Georgia to Turkey, which provides another gateway to Europe via the Black Sea. The Baku-Tbilisi-Kars railway was opened last year, providing the missing link on the route. As I wrote back in February, part of the idea is to allow flexibility and if required, bypass Russia. That said, the Middle Corridor is more likely to be used as an alternative supply route to the EU, Turkey and Caucasus as well as regional export cargo heading for China than a political rebuff to Moscow. However, the inference is there. Part of the route crosses East-West via Aktau, Kazakhstan’s only Caspian Sea Port, enters Baku in Azerbaijan, then traverses the Caucasus to Tbilisi, the capital of Georgia and then runs south into Kars, on the Turkish border. From there goods can be dispersed across Turkey’s “Middle Corridor” and into Iran and Europe. As can be seen from the map, although the Chinese have been responsible for the diplomatic and financial efforts in getting this section (known as the Baku-Tbilisi-Kars Rail) organised, the hand of Ankara sees the route entirely avoid Armenia, whom Turkey has a fractious relationship with. The route has distinct advantages. In late 2015, a goods train took only 15 days to travel from South Korea to Istanbul via China, Kazakhstan, Azerbaijan, and Georgia – considerably less time than a journey by sea). The line is intended to transport an initial annual volume of 6.5 million tons and 1 million passengers, rising to a long-term target of 17 million tons and 3 million passengers. Sleeping cars will be available. Turkey’s middle corridor then extends this across the country. The full multi-modal and geographic transportation policy concerning this can be read at the Turkish Government website here. However, the significance of the Middle Corridor doesn’t stop there. It is also a link through, via the BKR Rail, to the lesser-known Lapis Lazuli Corridor. China has been rather low key in this routing, as it builds upon and upgrades routes built by the United States military, with Turkish and other regional government assistance, to act as a supply chain for US military actions in Afghanistan. What it intends to do in future is provide a rail link to promote regional economic cooperation and connectivity between Afghanistan, Turkmenistan, Azerbaijan, Georgia, and Turkey, and according to the Chinese and regional governments concerned, will expand economic and cultural links between Europe and Asia. In doing so, the initiative seeks to improve transport infrastructure and procedures (including for road, rail, and sea), increase exports, and expand the economic opportunities of the countries benefiting from this new transport corridor. Afghanistan, Turkmenistan, Azerbaijan, Georgia, and Turkey have all signed an agreement on the creation of the Lapis Lazuli transport corridor, which is set to connect the five countries. The document, which was finalized after three years of technical talks, was signed on the margins of the 7th Regional Economic Cooperation Conference on Afghanistan (RECCA) in Ashgabat on November 15 last year. China again is funding much of the infrastructure. It is hoped that the link, effectively a regional spur from the Middle Corridor, will help keep Afghanistan quiet and promote peace via trade. China shares a border with Afghanistan in far west Xinjiang Province and is extremely wary of Islamic militants impacting upon the region. 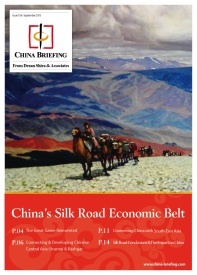 The Lapis Lazuli Corridor therefore has not just trade, but security significance for Beijing. Without the Middle Corridor and its established supply routes already in place, the development of this siding would not be feasible. The corridor begins from Afghanistan’s Aqina City in northern Faryab province and Torghundi City in western Herat, both of which are situated close to the Afghani border with Turkmenistan. Crucially, both Aqina and Torghundi have rail connectivity through to Turkmenistan. From there, the routes continue west to the Caspian Sea Port of Turkmenbashi, in Turkmenistan. After transiting the Caspian, the route continues on to Baku, capital of Azerbaijan, and then connects onward to Tblisi, capital of Georgia, as well as the Georgian ports of Poti and Batumi; finally, the corridor will connect to the cities of Kars in Turkey, the Middle Corridor, and onto Istanbul and the gates of Europe. Of perhaps even greater trade significance, however, is the link between Turkey’s Middle Corridor and the North-South Transportation Corridor. This connects India and Iran to Europe (via Turkey) and extends northwards into Russia and their massive rail network. Although rather more complex shipping is involved both from India to Iran and then again across the Caspian to Russia – the route has been tested, and found to be advantageous and economically viable. A western spur from this shoots off from Iran and connects with the Middle Corridor. The International North-South Transport Corridor is a 7,200-kilometer interconnecting network of railways, roads, and shipping lanes designed to facilitate the flow of freight between India, Iran, Russia, Azerbaijan, as well as European and Central Asian states. Iran has already been preparing itself for Silk Road trade with the launch of Zoodel – an extensive multi-lingual business-to-business (B2B) portal for e-commerce featuring Iranian goods. Abbas Nazari, head of the Iran Railways’ foreign affairs department, has stated that the railway project is “Profitable not just for Iran and Russia, but also for Asian and European states. Russia is a prominent railway power; it has an extensive network of railways, which accounts for 85 percent of all freight transported by the country. An important element of our cooperation is the North-South transport corridor which, as you know, begins in Europe and runs to India via Russia, Azerbaijan, and Iran. We seek to ensure that Iranian railways become the primary transit element of the North-South Transport Corridor”. He added further that the length of the Iranian segment of the corridor is “about 2,000 kilometers”. India and Iran, previous neighbors, have a close development program of their own – India is a major investor in Iran’s Chabahar Port, which services the NSTC to the south of Iran, while Delhi is looking for its own trade routes through to Europe, and to some extent Russia, which fits in well with Iran’s own policy. It has long been a dream for Iran to link the Persian Gulf to the Black Sea. Iran for its own part is also working with The Lebanon and Syria, again with Chinese contractor assistance, to develop a superhighway that will connect Tehran with the Mediterranean. Turkey sits right in the middle of this massive landmass and its involvement with China’s Belt and Road Initiative, and the impact this will have on its own economy, regional neighbors and Europe should not be underestimated. Neither should the technical aspects of trade. To close this circle, I should point out that China has recently signed a Free Trade Agreement with Russia’s Eurasian Economic Union. As has Iran. And in addition to that, India and Turkey are at advanced stages of negotiation. The regional trade implications for an inter-connected free trade bloc including Russia, China, India, Iran, and Turkey among other nations, right on the borders of Europe are immense. 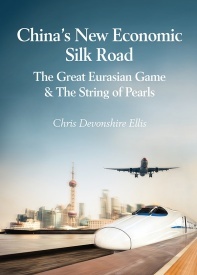 Chris Devonshire-Ellis is the Chairman of Dezan Shira & Associates, a professional services firm advising European companies in Asia and China’s Belt & Road Initiative. 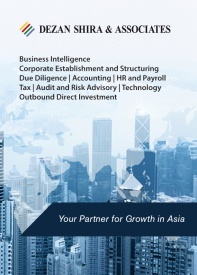 He is also the Publisher of Asia Briefing, which includes the Silk Road Briefing website. 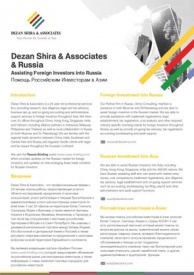 He can be contacted at silkroad@dezshira.com.